Fox Tales : Imagine sneaking around a haunted palace avoiding skeletons and ghosts. Enter a dark evil forest filled with zombies and wolves. Why would anyone be foolish enough to do this, you might ask? It’s all because our little fox is a self styled hero, who thinks every damsel in distress needs rescuing. Consisting of 30 levels, a unique stamina system which constantly keeps you on your toes, cute cartoony graphics and lots of catchy tunes, ” Fox Tales: The Skeleton King” is loads of fun. 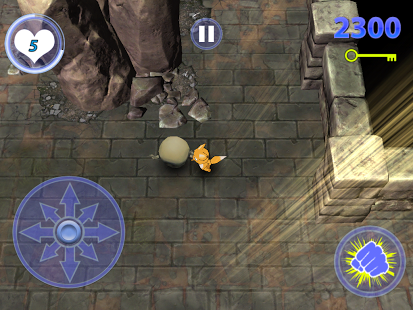 The gameplay mixes crafty strategy, patience and skilled reflexes. Help Kizu, the fox, save the damsel in distress and defeat the Skeleton King! Be warned, this game will test your skills as an adventurer. Are you up for the challenge? Fun Good challenge. Excellent graphics.